Posted on February 1, 2016, by & filed under Beduin, Don't Say You Did Not Know, House Demolitions. In a familiar story, the Bedouin village of Abu Nuwar have had their homes, structures and toilets demolished this January, then their replacement donated tents have since been routinely and arbitrarily confiscated through ongoing harassment by the IDF. During this time Bedouin crops have also been obliterated by government representatives in at least 3 other villages, and other communities have been temporarily expelled due to ‘army training’ practice. Last year’s conference focused on Bedouin land rights amidst ‘Judaization’ practices, with a presentation from Khalil Al Amour (whom one of our recent tour participants recently likened to civil rights’ activist Martin Luther King Jnr). 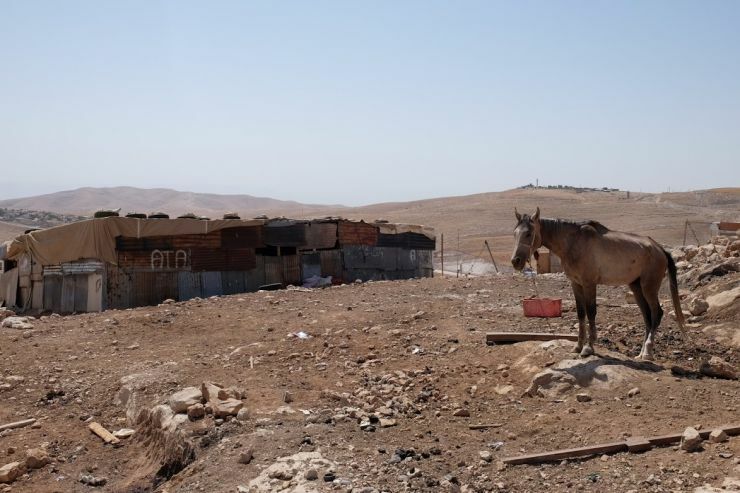 On 19th January the unrecognised Bedouin village of Al Araqib was demolished for the 93rd time, yet hope lies in the fact that every time it has been destroyed the villagers have tried to rebuild their homes and livelihoods rather than be forced out. This petition against ethnic cleansing in the Negev desperately needs more signatories to prevent Netanyahu from removing 1,200 Bedouin residents of Umm al Hiran and Atir (who have already been twice relocated from their former lands) in order to replace them with an Israeli settler population. Please know that without international protest, this vast demolition could happen imminently. Here you can see a useful 4 minute video story of these villages and demolitions.